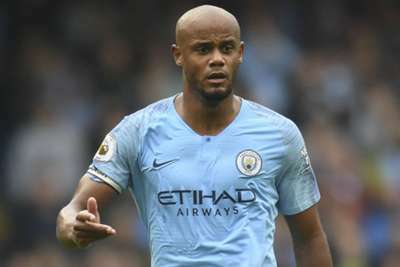 Vincent Kompany knows history is against Manchester City in their quest to retain the Premier League title, but he does not see complacency creeping into Pep Guardiola's ranks. The Manchester United teams of 2007-08 and 2008-09 were the last to successfully win back-to-back crowns and Kompany has been part of two City sides since that have been unable to immediately follow up a title triumph with another championship. However, Guardiola's men have beaten Arsenal and Huddersfield to go to the top of the embryonic Premier League table and long-serving defender Kompany believes the atmosphere around the champions is "different" to the 2012 and 2014 City sides that failed in their title defences. "I can only say it's different from previous years we have won the league," the City captain told reporters. "I think everyone has been warned enough as well: no team in the last nine seasons has been able to repeat and win the league. "There's been so many warnings we have had and every single time we almost have to fight against ourselves and our nature, not to fall in the same trap as the other teams have done, my teams included a few years ago. "But I can see that everyone is training hard. There's so much competition in the team that we have to anyway. "If I can say one thing, you are never guaranteed to win the league. But if we can compete then we will have done something that no other team has done since the last nine years." Kompany has also seen no let-up in City's desire since their title triumph. "Not with this team, but you never know until you have done it," he added. 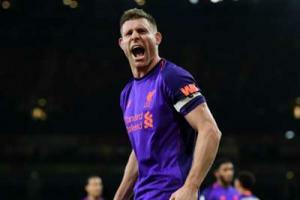 "Many players win the league for the first time and they come back and it's something you have to feel, to see in their eyes if things have changed or not. "I'm not saying we are going to do as well as we did last year, but if it happens that the season is going to be different then it has to be because of the other teams being stronger, not us being weaker."